The power efficiency of the CPU / APUs were tested using a power meter. A8-7600 tied with A10-5700 in power consumption with A10-7800 consumes about 10W more. 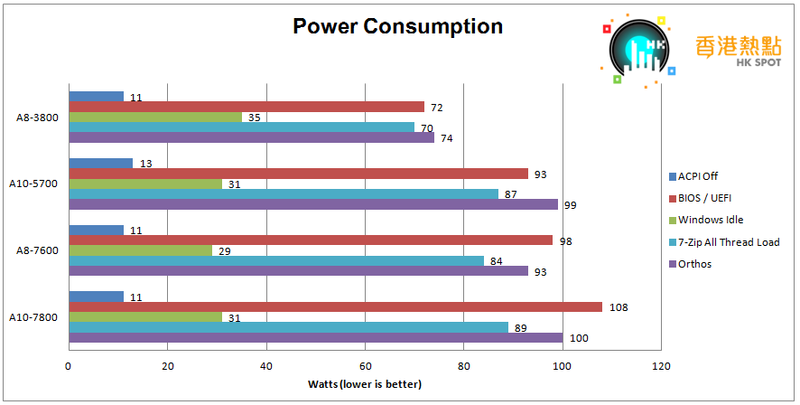 A8-3800 was the most economical in power consumption, though. Kaveri offered improvments over Trinity and Llano, as we could seen in the tests. It makes sense to upgrade from Llano to Kaveri for better CPU and GPU performance. But with the deficits of Bulldozer microarchitecture, AMD must move quick to release the next CPU microarchitecture, Zen, to combat with Intel’s huge lead in CPU performance. Back to the story of A10-7800 and A8-7600. 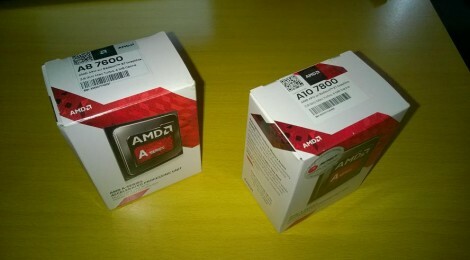 A10-7800 is more expensive (US$139.99 vs US$107.44 for A8-7600 as of 1st March 2015), but offered little performance gains. If I could freely choose one of them, I will pick A8-7600.